TOUGH NEW LAW IN EFFECT FOR CELL PHONES. As of January 1, 2017, California drivers will face a fine for handling their smartphone while driving. Even if you do not live in California, this information is important to know. Minneapolis, MN – August 5, 2015 –- Bracketron introduces the Xventure TwistX 360 line of universal rotating camera mounts built to capture outdoor experiences using your favorite camera. With a 360-degree rotating base and adapters to provide compatibility with any action camera, the TwistX 360 Buckle Adapter, Clip, Wrist, Hand, Helmet, Shoulder and Pet Mounts are gear kit essentials for travel, outdoor and sports enthusiasts. The Xventure team will debut the new TwistX 360 line at Outdoor Retailer Summer Market in Salt Lake City, August 5-8 (Booth #PV3352). 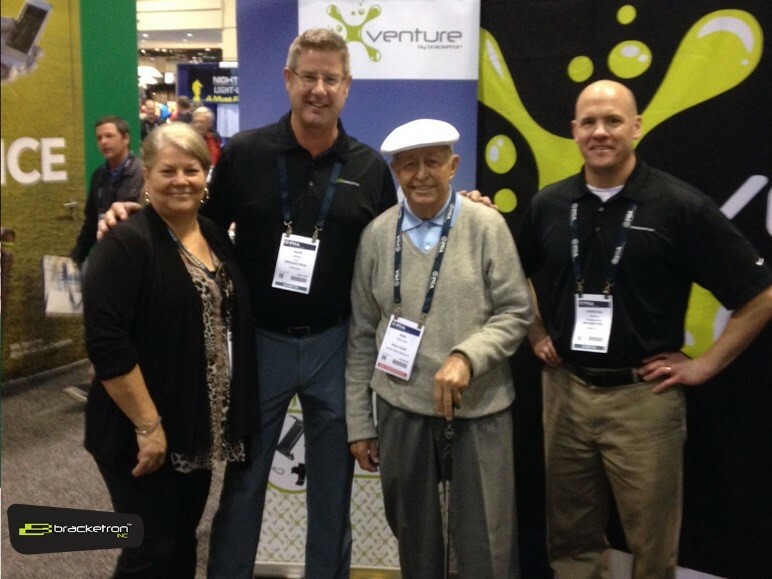 Bob Toski is one of the most popular and unforgettable professional golfers and instructors of any era. Checking in at 118 pounds in his youth, Toski was considered one of the longest pound-for-pound drivers. He competed in 21 major championships, and won 11 overall events on the PGA and Champions Tours. Las Vegas, NV – January 08, 2015 –- Bracketron, industry leader in universal mounting solutions and accessories for today's most popular mobile devices, announces new additions to the Earth Elements series that use specialized plates to securely mount your smartphone in your vehicle. With models available for your windshield, cup holder, dash and even your car’s 12V port for charging, these magnetic mounts allow you to keep your devices powered up and out of your hands while driving. Minneapolis, MN – Nov 04, 2014 –- As an industry leader in mounting solutions for mobile devices, Bracketron has launched the Trucker Tough line to cater to those who need a tougher, more rugged mounting option for their devices. Bracketron translates its expertise of universal mounting solutions to include this turbo-charged line for die hard pickup fans, truck fleet operators, off-roaders and RV-ers. Offering three mount options, the JawGrip™, Tough Tablet and Tough GPS, the Trucker Tough series caters to virtually any mobile device. April is Distracted Driving Awareness Month. Get to know the facts. This infographic has facts about distracted driving and why you should do everything you can to avoid distractions and support safe driving. Texting while driving is a huge issue today, particularly amongst teenagers, who want to stay in constant communication with their friends. According to Distraction.gov, the average time a person’s eyes are off the road when texting is five seconds. When driving 55 MPH, that’s the equivalent of driving the length of a football field while blindfolded. 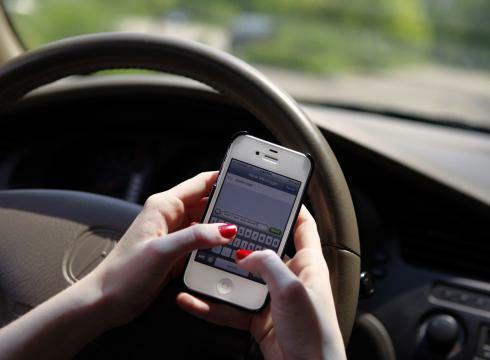 To combat this, companies are coming out with apps disable the ability to send or receive texts when behind the wheel. Drivers should just automatically refrain from texting while driving, but if you are worried about your own self-control or your teens refusing to listen, these apps will help prevent texting while on the road.